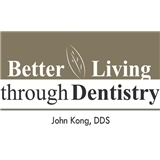 Better Living through Dentistry™ (New York) - Book Appointment Online! We strive to consistently provide the highest level of dental care! You can expect our office to be: 1) On-time - we value your time and hence, don't double book. 2) Welcoming - we are a judgement free office and will treat everyone with respect. 3) Modern and Clean - we invest heavily in the office, staff and equipment to ensure the best care. 4) Honest - we are straight forward and take the time to educate you so you can make the best decision for a healthy smile. We love what we do and always strive to go the extra mile, for our patients!